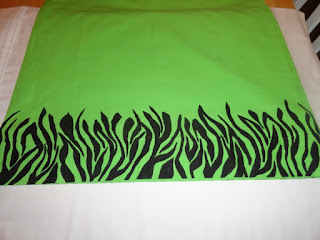 Painting a bed pillowcase is pretty easy and makes a nice gift for the holiday, birthday, and more. Begin by ironing the pillowcase. 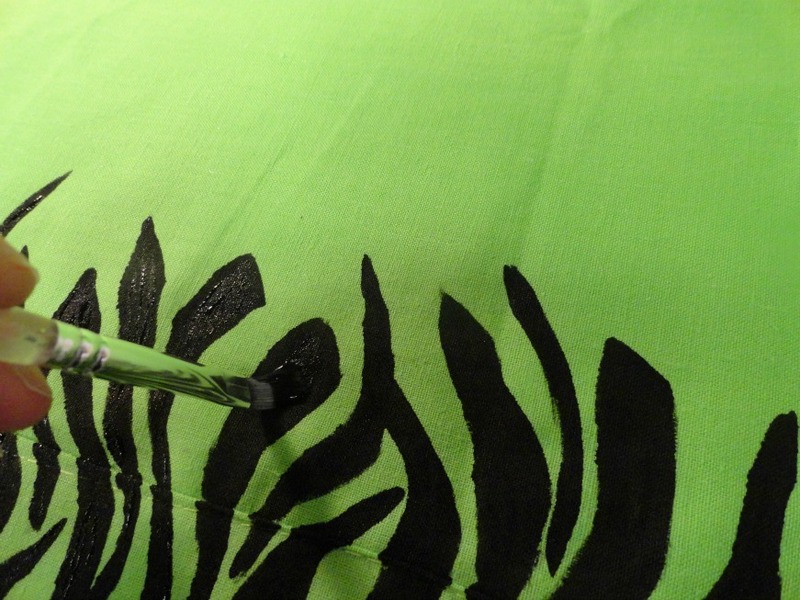 If you are doing it for yourself you can wash the pillowcase before painting it. 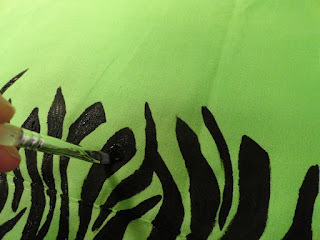 Next, I put the end to be painted on the shirt painting board. I place a piece of waxed paper between the pillowcase and the board. This will help keep the soaked paint from making a mess on the board. 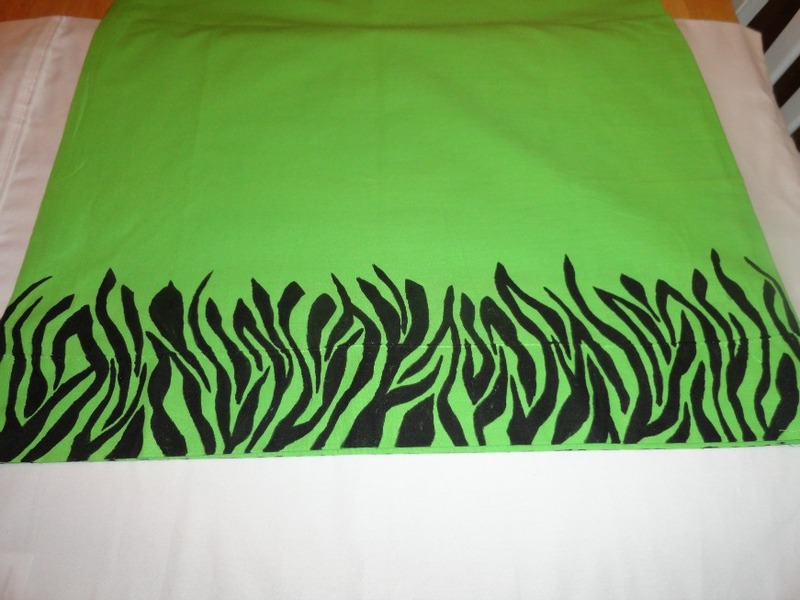 Now I am ready to begin painting my zebra stripes. I just do them randomly across the opening of the pillowcase. I paint one side first, allow it to dry, and then re-coat them and clean up the lines. Once the first side dries, I turn the entire board over. I place waxed paper under the second side and repeat the process that I did on the first side. Once the paint has dried it is time to heat set the paint. I remove the pillowcase from the board and waxed paper. 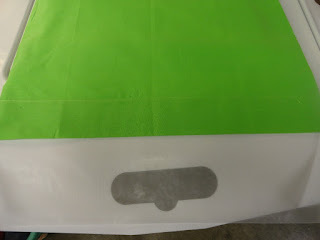 I then place the painted part of the pillowcase on my ironing area. 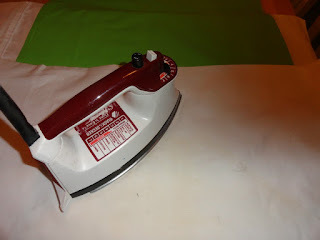 I heat the iron to a high heat for cotton. 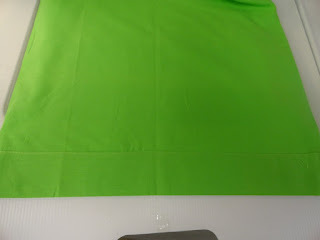 I will place a white pillowcase on top of the area when I will be placing the iron. Do not place the iron directly on top of the painted area without fabric in between the painted area and the iron. Keep moving the iron around for about 15 seconds. Make sure you keep it moving to prevent the pillowcase from burning. Allow the pillowcase to cool. Now you are ready to place your pillow inside. Make sure you turn the pillowcase inside out every time you wash it. It can be washed and dried in the dryer with the rest of your laundry.